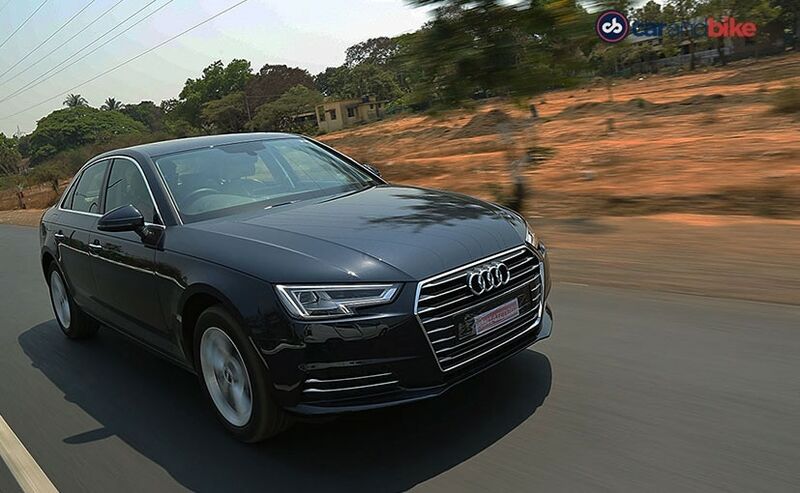 The A4 diesel is part of the 10 products that Audi is bringing in, to India, this year and we've finally managed to get our hands on it. It's finally out of the woods, so to say, and it's taken a while to come to India. 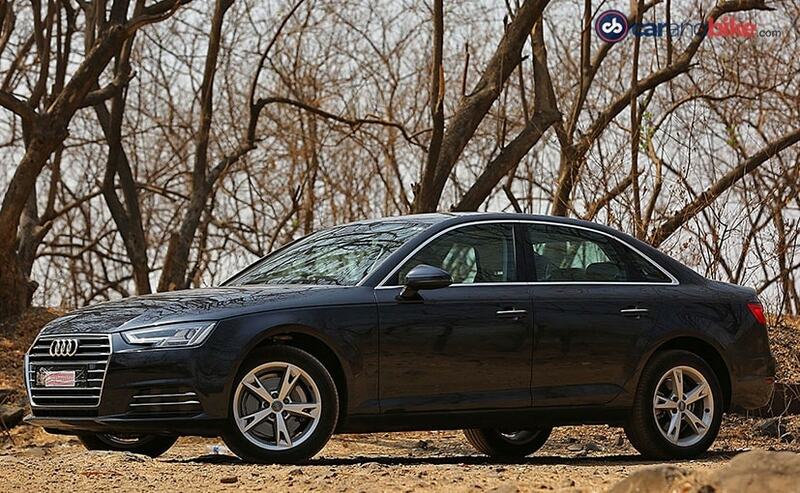 It's been close to 7 months, since the new-gen A4 hit our shores; but, back then, it only came with a petrol engine. So, the line-up was a bit incomplete, till the time the diesel was launched; but, there's good enough reason why it's taken so much time. 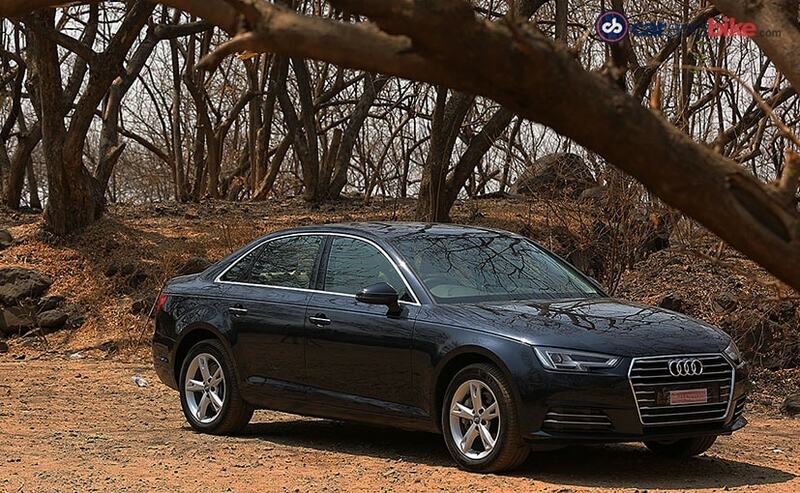 The folks at Audi had to retrograde the engine, to make it suitable for the quality of fuel available in India. 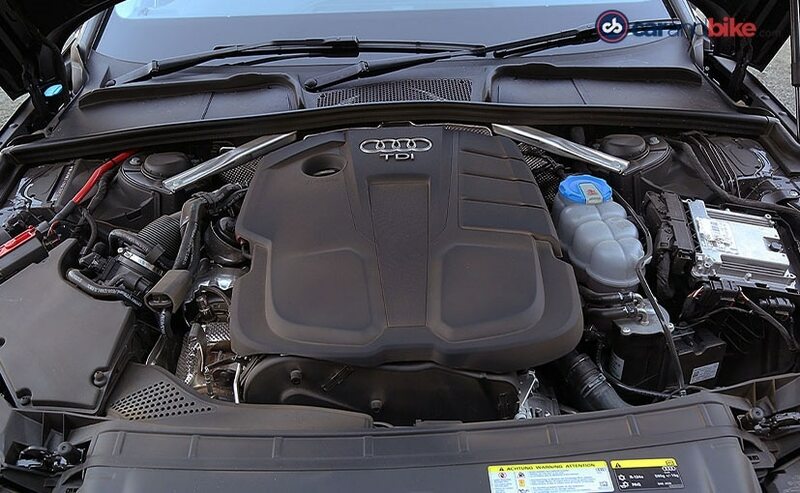 The A4 diesel was Euro 6 compatible and hence the company had to make it BSIV compatible and that's taken up a bit of its time. However, it's finally here and though, visually, it's still the same, as its petrol cousin, there are one or two differences that set it apart. 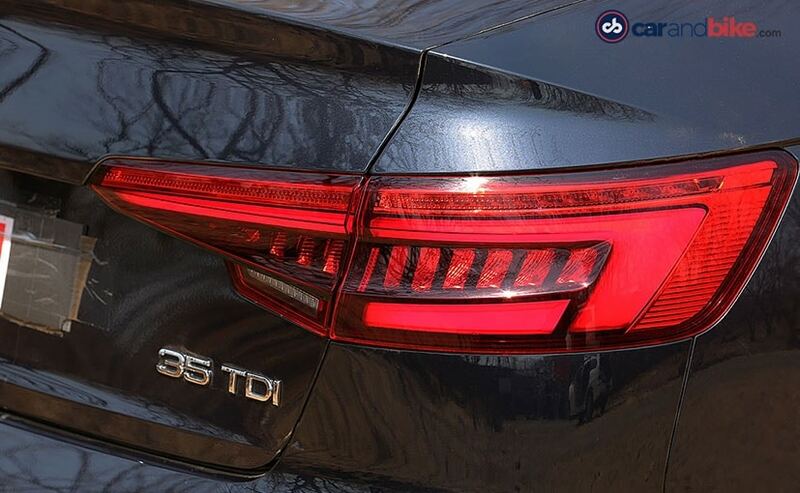 The diesel gets a dual exhaust set up at the rear and of course the TDI badge; but other than that it's all about that engine under the hood. 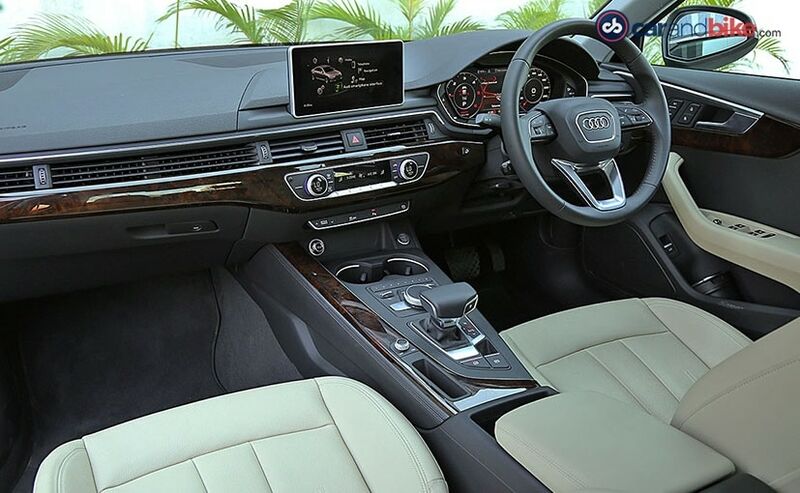 As we've told you earlier, about the design (when we drove the petrol variant of the new-gen A4), Audi has given it a nice sculpted body and the design can only be described as evolutionary. It looks fresh and the new headlamps with the nice DRLs bring out its uniqueness; but, of course, the front grille still bears resemblance to the family, but there's a lot of work gone into making this one new, as it's lighter by about 120 kg and a lot of aluminum has been used, not only in the structure, but also in its suspension setup. There are no changes to the cabin, when compared to the petrol variant. 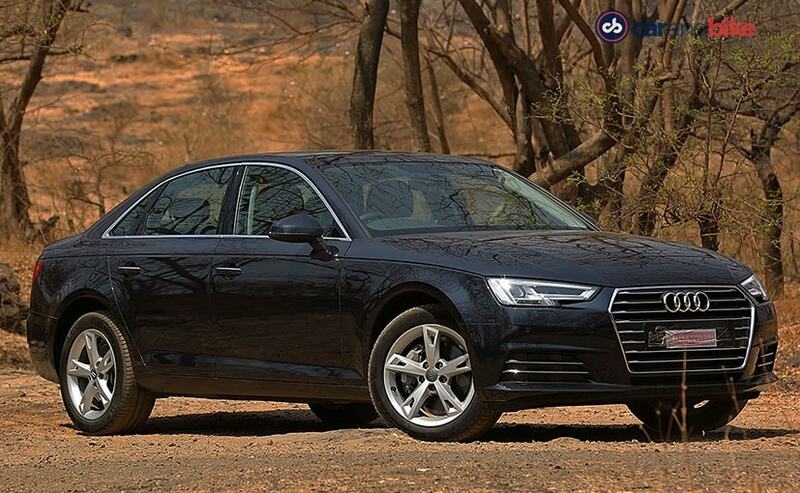 The A4 diesel gets a thumbs up, on both material quality and ambience. There's Audi's Virtual Cockpit too, which is available only on the top-spec Technology Trim and that's a bit of a downer. But, the functionality of it cannot be faulted or ignored. The HD screen gives you a clear view of navigation, infotainment and car information, as also the speedo and tachometer. Audi's Virtual Cockpit is an engaging experience, as all the information is at your fingertips and it's in no way distracting. 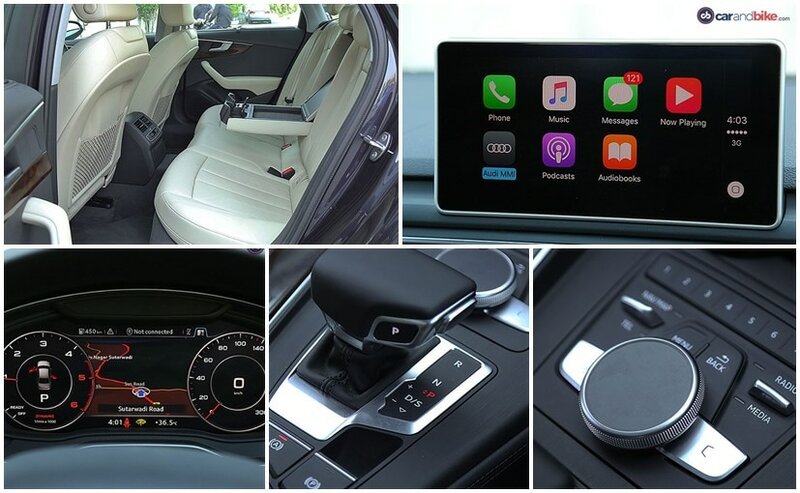 There is also a 7 inch screen on the dash, which can hook up your phone, thanks to Apple CarPlay and Android Auto; and of course, there's Audi's own MMI interface, which is extremely user friendly. Just like in the petrol variant, space at the rear isn't a problem too, as there's good legroom on offer; but, in this one, it's all about the engine and it's the same as the one on the Skoda Superb, but with a bit more of everything. It's got one of the quietest cabins in its class and I had to remind myself that what I was driving was a car with a diesel engine and a powerful one at that. There's 188 bhp on offer, coming out of that 2.0 litre engine and 400 Nm of pulling power, from about 1800 rpm. The power is channelled through the front wheels, via an absolutely engaging 7 speed DSG; and that's brilliant, compared to the CVT on the last one. The gear changes are precise and seamless and you just keep enjoying the drive, while also providing a fuel efficiency figure of more than 18 kmpl. You can fine tune the experience to an extent, thanks to the four driving modes on offer - Normal, Dynamic, Auto and Individual; but none actually tweaks the suspension setup of the car. The ride is sublime and it absorbs bumps with ease. It's well damped and absolutely fun to drive. I had my reservations recommending the petrol engine of the A4, it's a good engine no doubt but a bit underwhelming for a luxury sedan; however, with the new diesel engine, the Audi A4 makes a strong statement, not only to its consumers, but also competitors, as the line-up is now complete and with a price tag of over 40 lakh rupees, Audi, yet again, shows that it means business!